In my last post, I showed how a check constraint can be used by the optimizer to completely rule out any data access, however there are some rules to abide by. 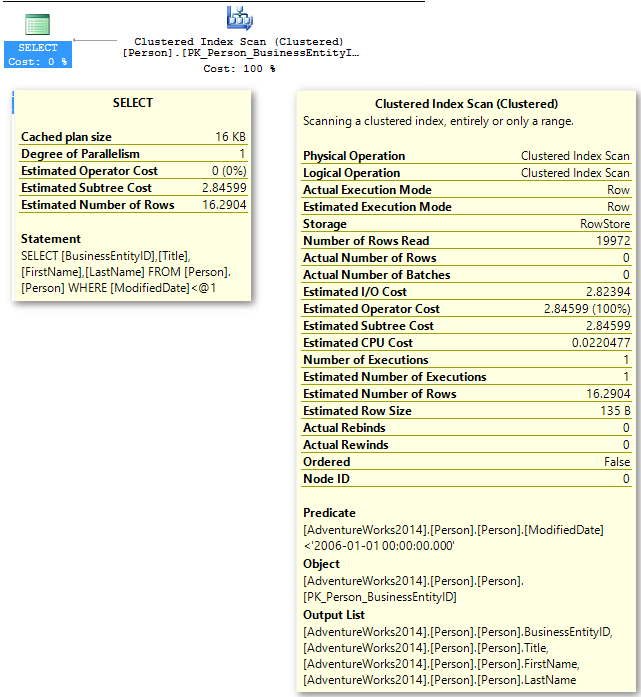 We created a check constraint on Person.Person table in AdventureWorks2014 so that when we queried for any rows with a ModifiedDate earlier than 1 January 2006, the Query Optimizer knew that no rows could be returned, and gave us an empty result set much quicker. A problem can arise though when we temporarily disable a check constraint. Why would we want to do that, how do we do that, and what is the problem it causes? Read on! so all good – the optimizer is just checking against the constant. Now imagine we need to load this table with a lot of data, quickly. One step might be to disable any check constraints so that the data loads faster. The optimizer has reverted back to the clustered index scan, and we have table access as is shown in the set statistics io output. What?! Why? Whilst the constraint was disabled, any data could have been put into the table, including a ModifiedDate that was earlier than 1 Jan 2006. When we re-enabled the constraint, all we are doing is putting the rule back on so that any further updates to the table will have to adhere to the constraint. SQL Server did not go back over all of the data that was already in the table to make sure that I hadn’t broken any rules. 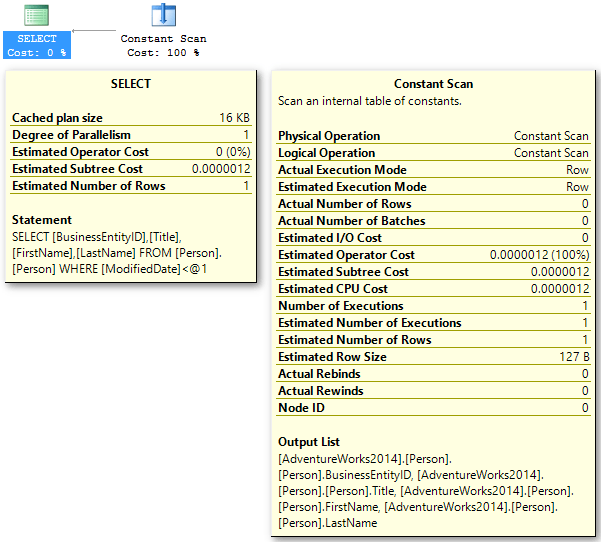 So essentially, SQL no longer trusts that the constraint has been applied for every row, and when the optimizer is asked to generate an execution plan for that query – it HAS to read every row – just like we had before we applied the constraint in the first place. 0 = false => not (is not trusted) = is trusted! So try it out for yourself, run the queries from above and check is_not_trusted after you disable the constraint. You’ll find it immediately gets set to 1, without even running the additional query to add any data. Checking for trusted constraints is one of the checks I run whenever I perform a database server health check, and if they have been turned off inadvertently by a process like above, then you can realise some performance gains simply by turning them back on. This entry was posted in Database Development, SQL Server, TSQL. Bookmark the permalink.